Love S’mores but hate the campfire mess (and smell)? No worries! Even on a rainy day you can enjoy your favorite summertime treat! 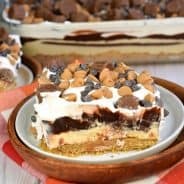 Here’s 50+ S’mores recipes that you can enjoy without a campfire! 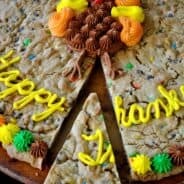 Thanksgiving Cookie Cake and a Turkey Day Roundup! What a great roundup- love all the pictures. Thanks for putting this together right before cookout season. 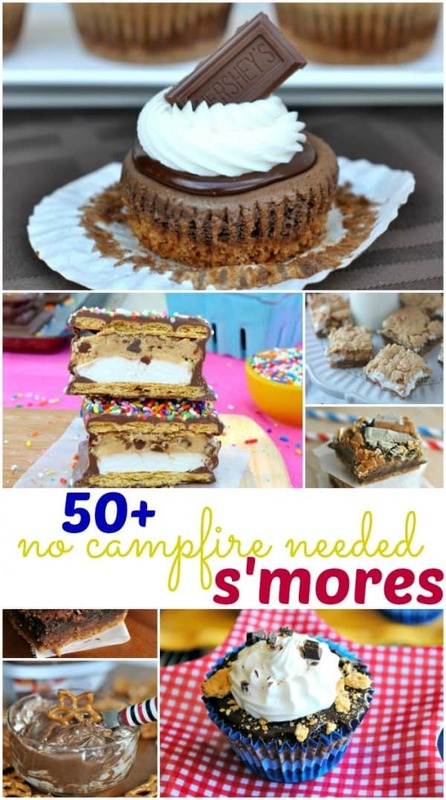 I LOVE S’mores, but I live in an apartment with no way to make a fire…so I love this roundup! You can never have enough ways to make a s’more! Pinned! S’more season is just around the corner! Cannot wait to try some of these recipes! Now…that’s a collection! I don’t even know which one I’d try first. They all look fabulous! I was just telling a friend how excited I was for s’mores season….now I have SO many ways to enjoy them!! What a fun round up! Wow! 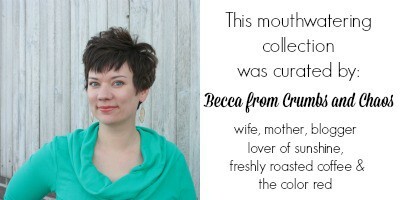 What an amazing round up of recipes. I’m ready for dessert for breakfast. S’mores are the best! I love that I now have all these great recipes that don’t require a campfire! These make me so excited. We can’t have bonfires where we live, so it makes me happy to be able to still enjoy this classic. And it won’t get boring with this list! Awesome awesome round up!! Love smores! Great collection for making s’mores indoors! Especially because fire is absolutely terrifying…and camping can get kind of cold and damp. You know how to make a gal hungry. 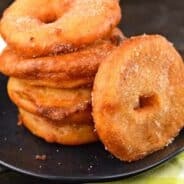 It is 6am and I am drooling over these recipes. Thanks for including me Aimee! S’mores are my favorite! Thanks for including me! These all look delicious!! I’d love to try the smores oreo truffles. I have a major weakness for oreos 😛 Thanks for sharing these!